Dogs normally breathe faster than people, taking around 20 – 25 breaths per minute when resting (compared to 16-20 for people). If your dog is breathing much slower OR faster than this, or you hear disruptions in the breathing patterns, it could mean your dog is experiencing a respiratory problem. The respiratory system has many parts and likewise there are many reasons a dog may contract a respiratory issue. Illnesses that effect the respiratory system can cause breathing problems, so don’t ignore irregular breathing patterns in your fur-friend. If your dog is already experiencing difficulty breathing, you will want to address the situation right away. Pay attention to the signs. Common symptoms of dog respiratory problems include sneezing, coughing, chest congestion, runny nose, etc. These symptoms are easy to spot and normally easier to resolve as well. Less common symptoms of respiratory issues may include: if your dog’s nostrils flare when she breathes, a crackle in the breath, wheezing, shallow breathing, loud breathing or heavy breathing with the mouth closed. If you see these signs over a period of a few days you should act immediately. 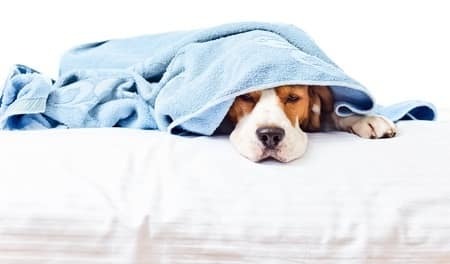 There are several types of respiratory illnesses that dogs can experience, ranging from allergies and kennel cough to pneumonia, influenza and distemper. You will want to do your research on specific symptoms to get an idea of what issue your canine baby may be experiencing. Kennel cough (also known as the canine cold or Bordetella), is a very common dog respiratory problem. The symptoms sound serious – dry hacking, honking/choking cough – though is not as serious as it sounds. The symptoms can usually be treated at home – and there are many home remedies that can help. Kennel cough is much like the common cold in people – a popular but non-serious nuisance. However, if your dog is very young or old, or if her immune system is weak, it is possible the condition could worsen into something more serious, like Pneumonia. 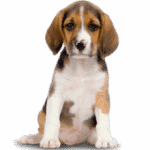 Unfortunately, some respiratory conditions in dogs are irreversible. Chronic Obstructive Pulmonary Disease (COPD) and canine distemper have no known cures – yet even such serious respiratory conditions can be helped with daily supplements that have anti-inflammatory and immune building functions. A good healthy diet and exercise are a good idea for every dog’s daily routine but can be especially helpful in battling these diseases. 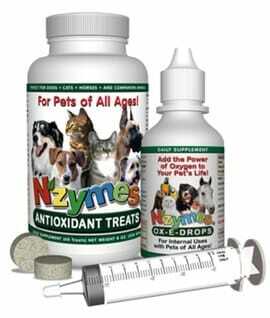 For more articles on Dog Respiratory Problems click the link. There are many contributing factors to dogs contracting a respiratory illness. Aside from contagious diseases (canine influenza, kennel cough, etc. ), inhaled irritants can also cause respiratory problems in dogs. Some obvious irritants include cigarette smoke, carpet powders, air fresheners, cleaning or aerosols sprays and some perfumes. Poor dental health can also impact a dog’s respiratory health. Bad breath can be a sign that bad bacteria is building up – not just in your dog’s mouth, but potentially in her lungs and gut as well. 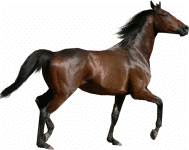 Veterinary treatments will vary, depending on the type and severity of the respiratory illness, ranging from over the counter supplements to steroidal medications and/or even surgery. If your dog is not experiencing a severe or emergency situation, it can be helpful to do some of your own research – it’s possible you may be able to help your fur baby with a simple, natural supplements available online. Click the button below to see how. Problems like allergies and yeast can also contribute to respiratory problems in dogs. To address these issues, you must start from the inside, out. Most canine nutrition experts say, “Health begins in the gut.” because 80% of a dog’s immune system is either helped or damaged from complications in their gut, and strengthening that immune system is going to be a very important key to overcoming any dog respiratory problem. Adding in vitamins and immune boosting supplements to their daily diets will help strengthen your pup – from the inside out. It’s hard to watch a loved one or beloved pet suffer, and as good pet parents, sometimes the only thing we can do is keep our babies warm and loved while they are dealing with discomfort. Giving them the right health supplements to support the body’s efforts to eradicate the issue and help avoid secondary infections is VERY important. Not unlike us humans, love and diet are key ingredients to creating health and happiness for our fur babies.